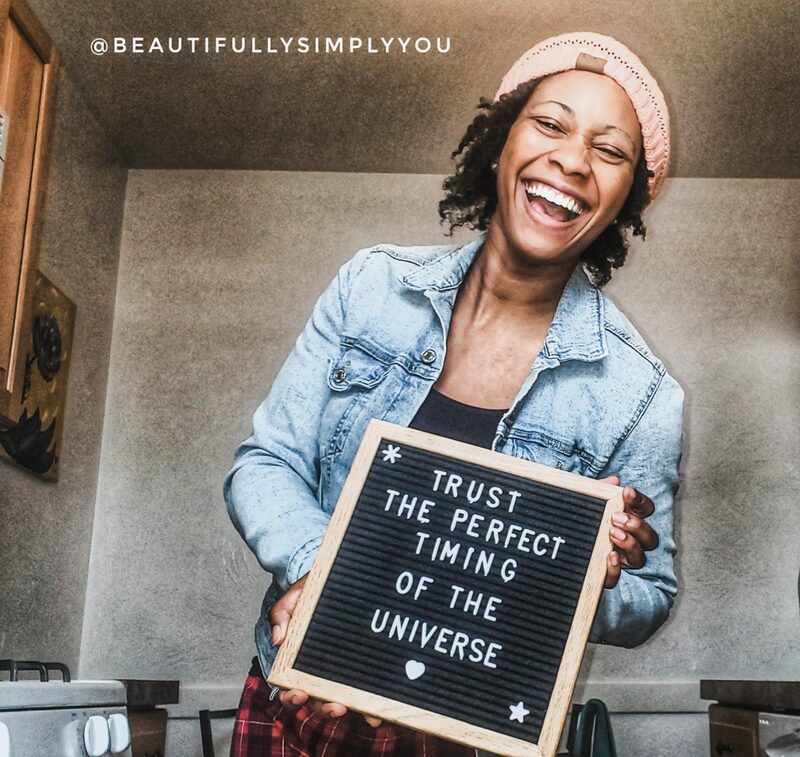 How easy is it for you to trust what the universe has planned for your life? I am a planner by nature and I have always wanted to have some type of control over my plan. I also always desire to have some control over the outcome. Unfortunately, life doesn’t work this way, and we can’t have complete control over what happens next. We can plan as much as we want for things to go right and yet still everything goes wrong. We can hope for a certain outcome and do everything right to get there, but the universe may give us something else. We may have dreamed of a certain life for ourselves for years, but here we are still dreaming and waiting for that lifestyle. How absolutely frustrating!! How could the universe do that to us after we have done everything right? We will never truly know why things go certain ways, but hanging on to the need to control for a certain outcome may likely leave us dissapointed. I admit that the planner in me may not be the best person to give “go with the flow” advice, but I write this post, like many of my posts, to help you, but to also help myself. As I have mentioned before, writing is self-care for me and allows me to release some stress. But I truly believe that the things that we wanted so badly will often fall apart so that better things can fall together. I believe that even when my lack of control causes me to over analyze and be full of worry and fear about what is coming next, that with faith in the universe, everything will work out, maybe not how we planned, but exactly as it should be. I have no clue what my future holds and definitely have no clue what your future holds (although my planner personality wishes I was a legitimate fortune teller or even a time traveler to tell the future!) but I do know that it will be okay. Even if your dream school you applied to rejected you, even if you thought by now you would be married with 2.5 kids and a white fence, even if you failed that test, or didn’t get the job, or even if you couldn’t afford that trip, everything will be okay. Everything will happen as it should, when it should. For me I always know things will definitely happen as it should but I struggle with the “when” and if the “when” will be on my timeline. Again, it likely won’t be on my exact timeline, but that’s the beauty of life, having everything happen as it should, when we least expect it. Relinquish control to the universe, trust that everything will work out and be exactly what you need in that moment. The moment you stop searching for the answers and stop trying to have so much control, things start to fall into place. Relinquishing control is far from easy. I type this as all I want is to have control over my current situation, for me to know what the outcome will be and when it will all come together. Not having the answers and the desire of having things my way right now, gives me quite a bit of anxiety. But we are in this together. Together day by day, we will trust the universe more and try to worry less. We will fully trust and believe that everything will work out for us in the best way possible, in the best timing possible, and be the best for us in every way. Cheers to having less control over the future but having control of how we respond and react on our journey.